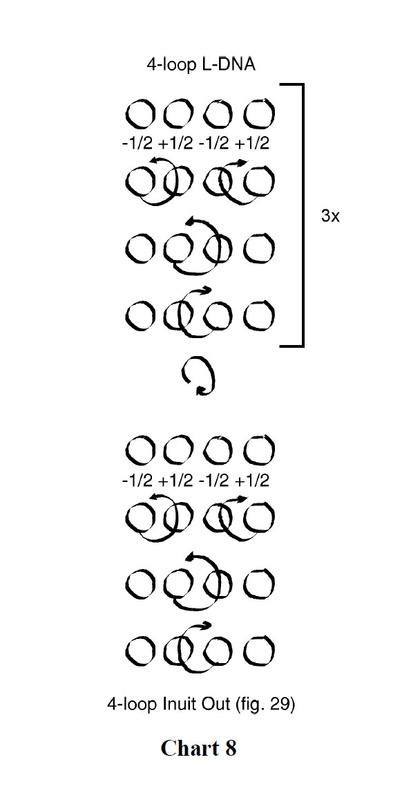 in variation 3 the figure is not rolled until the beginning of the fourth iteration. Because of this the internal transverse strings loop around the frame lines once. This effect is particularly striking when the figure is woven with an octagonal two-color loop, as in fig. 29.